In March 2017, Colin Ingram, Regional Sales Manager at Impact will take on an exciting challenge to raise funds for Transaid, the official charity of the transport and logistics industry. 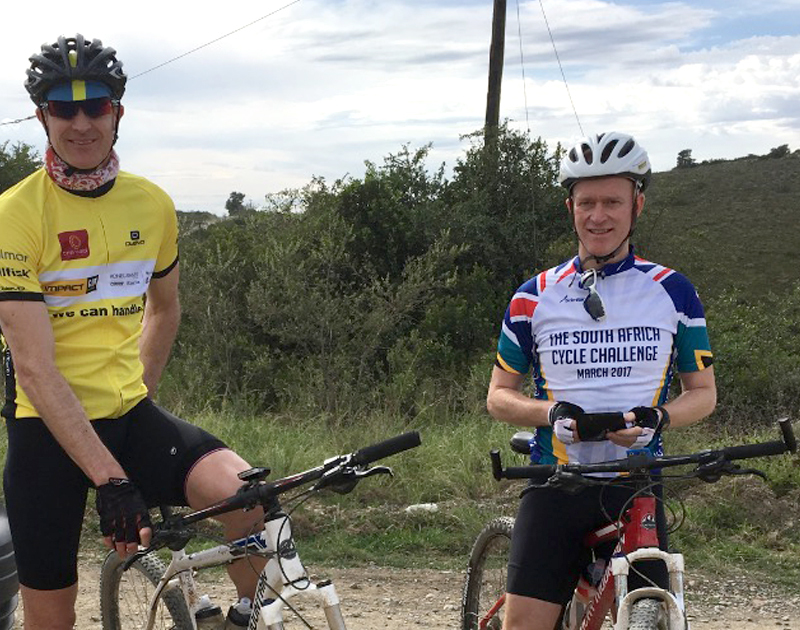 He will complete a sponsored 450+km cycle ride across South Africa in just five days. Transaid is an international development charity that identifies, champions, implements and shares local transport solutions which improve access to basic services and economic opportunity for poor people in developing countries. Through combining the expertise of the UK Transport and Logistics industry with their experience in international development, they partner with local community organisations, governments, institutions and donors to achieve our aims. This collaborative approach enables Transaid to provide innovative solutions to some of the key challenges facing transport and development today. Transaid was founded by Save the Children and The Chartered Institute of Logistics and Transport and our Patron is HRH The Princess Royal. 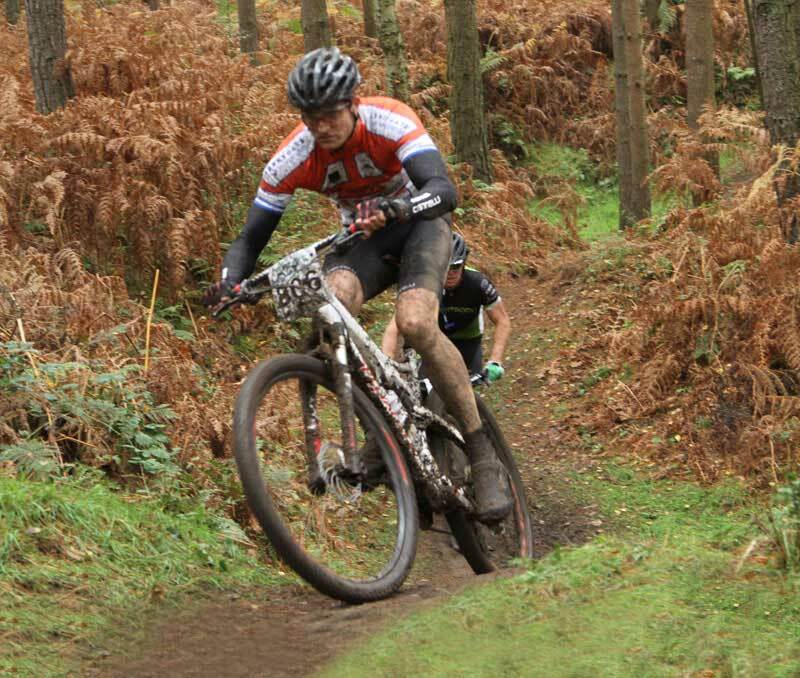 Colin’s participation in the ride marks the latest stage of Impact’s support for Transaid. 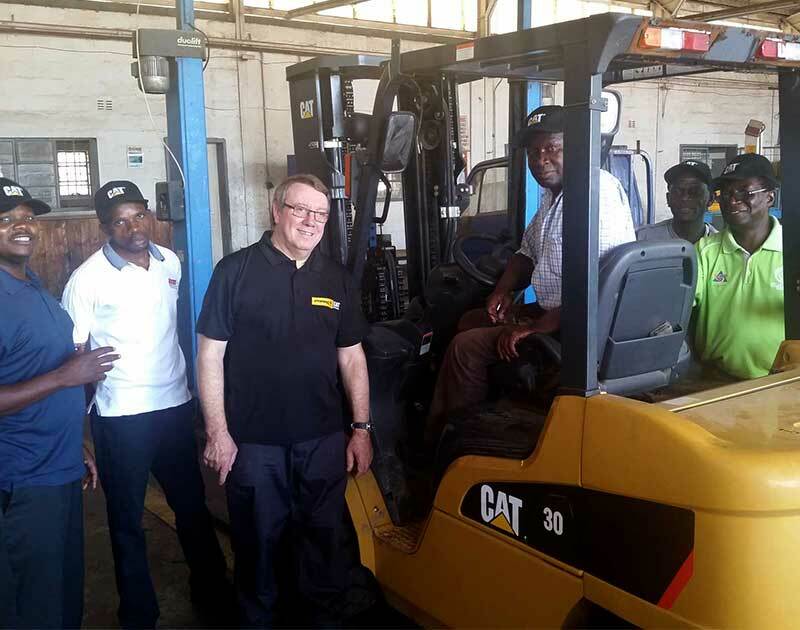 Earlier this year Our Training Manager, Mark Pickett spent a week on secondment in Zambia providing training on forklift maintenance procedures – to coincide with the donation of a new 3-tonne Cat® lift truck, which is now used permanently to support training in-country. The cycle challenge will start at De Doorns, Western Cape on 10th March and promises to be an incredible ride through a truly stunning area of South Africa. 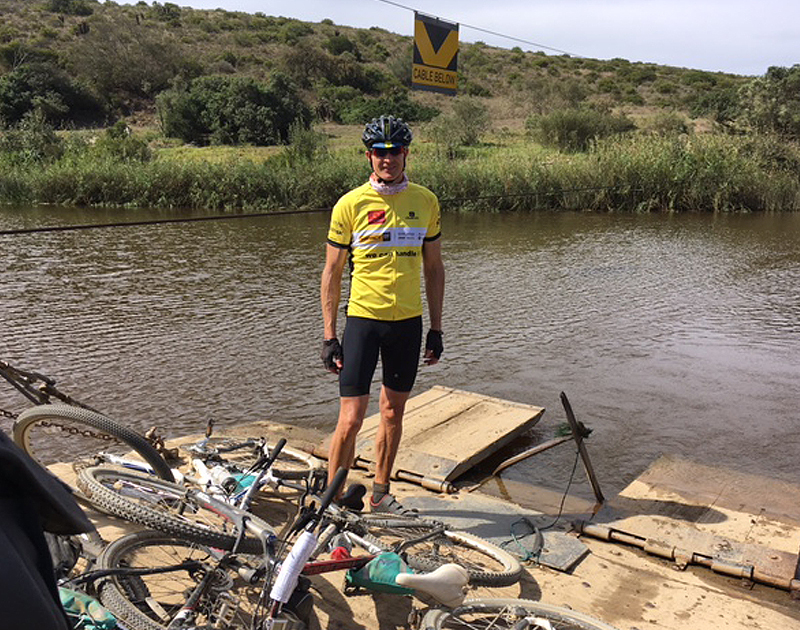 Colin will cycle a total of 450km over the course of 5 days and will end in Cape Agulhas, the Southernmost point of South Africa on the 19th March. Colin has been training hard for the cycle challenge, he cycles approximately 120 miles per week to keep fit and to get into the shape for this event – He is really looking forward to the challeng!! Day 1 of Collins cycle challenge started on Sunday 12th at De Doors and after cycling for 115Kms ended in Montague, a peaceful town steeped in history and famous for its awe-inspiring rock formations, orchards, vineyards, local herbs and healing hot mineral springs. 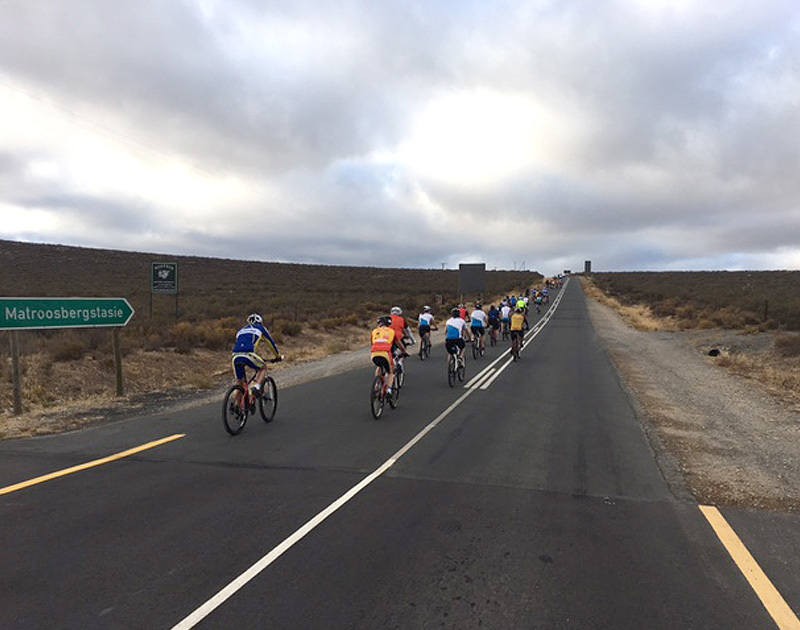 Day 2 – “A slightly shorter day began (89kms) with a cycle alongside the majestic Langeberg Mountains. We soon turned on to undulating dirt roads which continued for about 18km as we rode adjacent to the main road, cycling past fruit farms. The road rises steadily to the top of Op Die Tradouw Pass before dropping back down to the small town of Barrydale where we ended for the day”. With an annual rainfall of 300mm it seems as if the sun is always shining and temperatures of 35 C are common in the summer months. In the afternoon, cool coastal breezes temper the heat and make the evenings pleasant. Tune in tomorrow for news on today’s adventure! Our route today had plenty of climbs and exhilarating downhill sections as the road winds down between the mountains before rising to the top of Tra-douw Pass. The route then descended sharply into the valley below where we found the Tradouw River. Turning left we passed Grootvadersbosch, the oldest farm in the region, before crossing the N2 at Slangrivier, riding through rolling fields to the Breede River that we cross by hand operated pontoon just before reaching our overnight destination of Malgas. 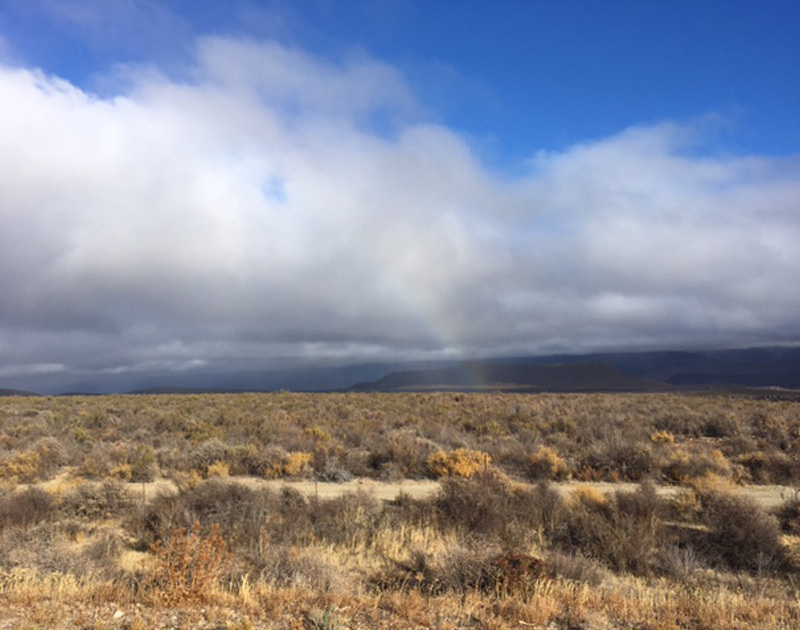 Leaving Malgas and the river behind, we skirted the De Hoop Nature Reserve and headed for Bredasdorp, the biggest town of the grain growing region. 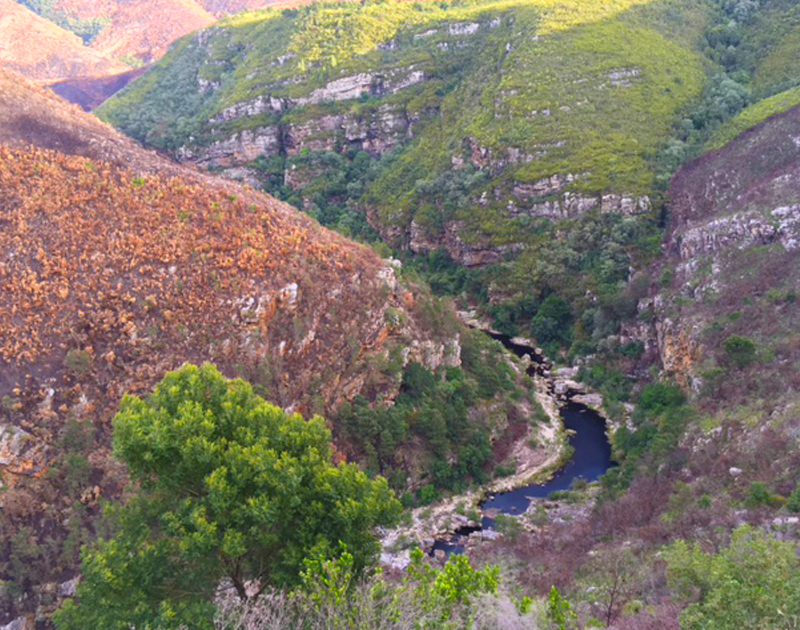 Numerous blue cranes (the National bird) live here as well as storks, but most impressive, is the colony of Cape Vultures nestling in the Potberg Mountains. Finally, we turned to the coast and arrived at the fishing village of Arniston where we stayed in rustic chalets. Yesterday we headed back to the main road and rode slightly inland on some dirt roads as we travelled southwards towards Cape Alguhas. We passed through Struisbaai before we passing the lighthouse at the meeting point of the Indian and Atlantic Oceans—the Southernmost point of the African continent which is a fitting place to celebrate the end of a challenging ride.